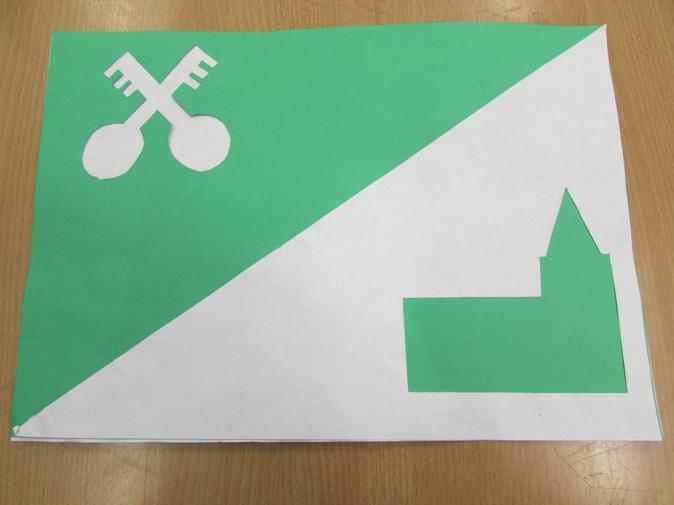 Children have been asked to design a simple flag that represents the area in which they live. The winning flags will be made in to large flags that will fly in Parliament Square to represent the nation in a special event in March. All submitted flags will be displayed online in a 2015 Anniversary digital exhibition. The winner was Morgan Jones 5H, Well done!